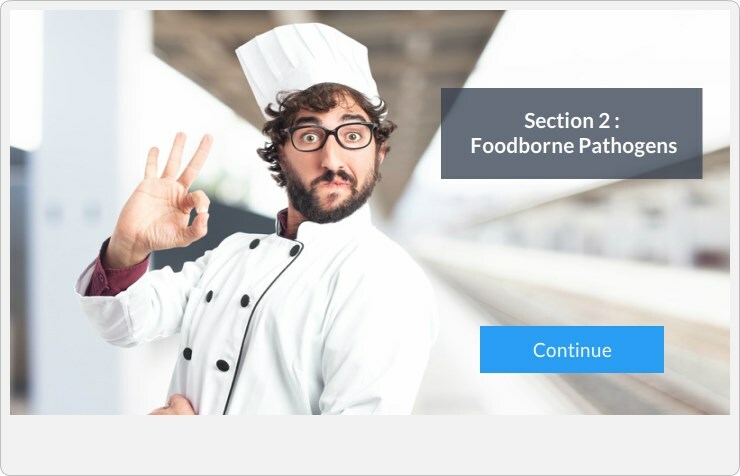 Do you need to get food safety trained? 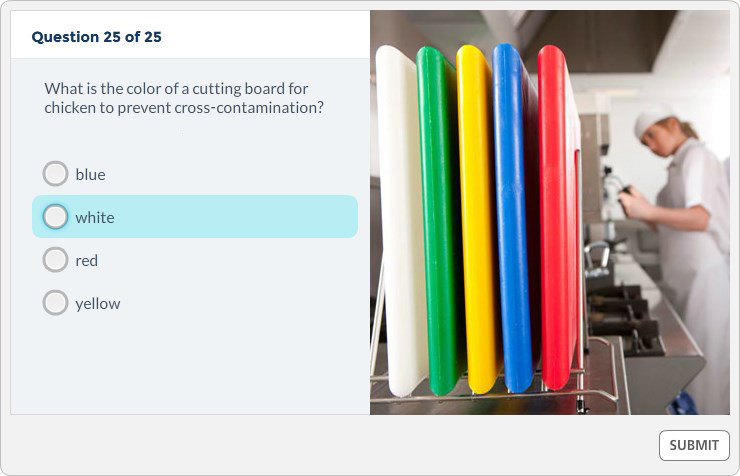 Take our free food safety practice test to find out how much you really know about food safety. 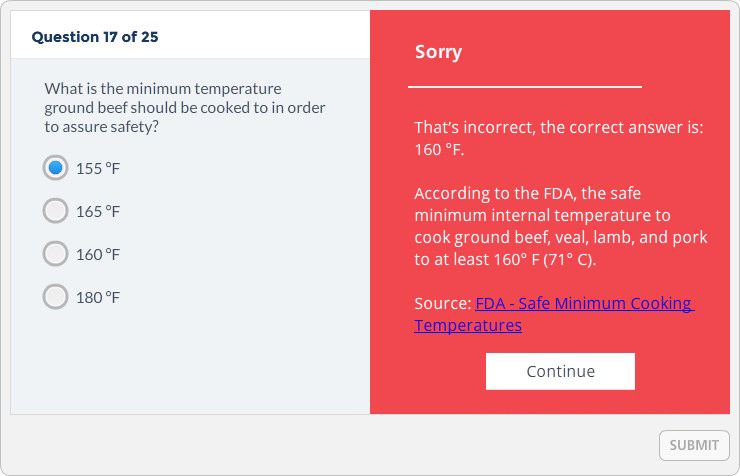 The food safety quiz is perfect for studying for the Food Handler Training Exam – Certified Food Manager Exam – or simply to learn more about food safety. Ready? 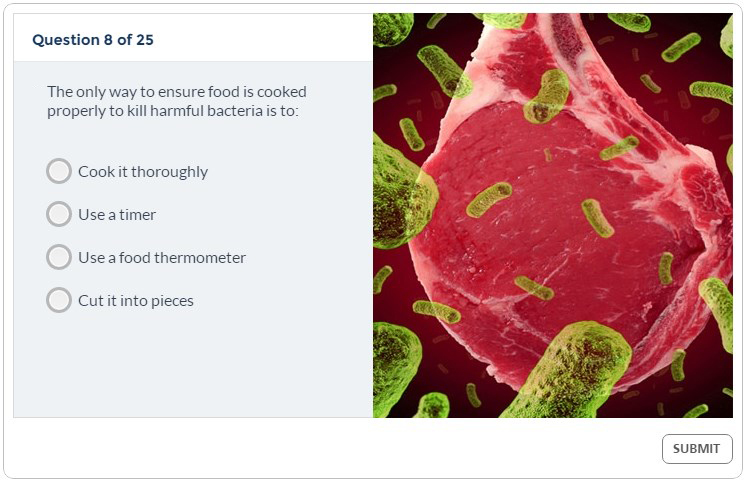 Food safety training is necessary for employees in the food service and hospitality industry. 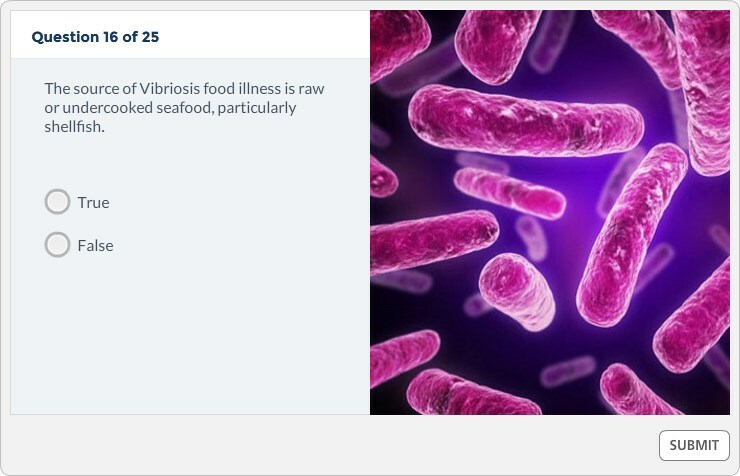 Individuals working in food facilities who are involved in preparing, storing, or handling food are required to obtain a Food Handler’s Card. 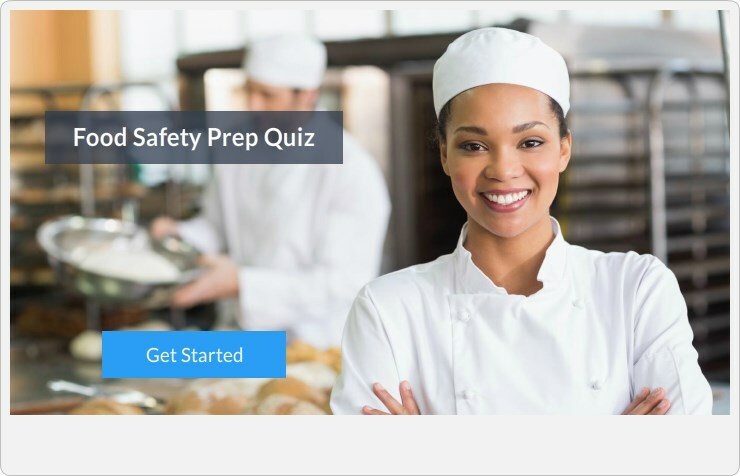 This includes food employees that work in restaurants, cafes, bakeries, delis, mobile vendors, food trucks, bars, and convenience stores – such as chefs, cooks, servers, preparers, caterers and managers.